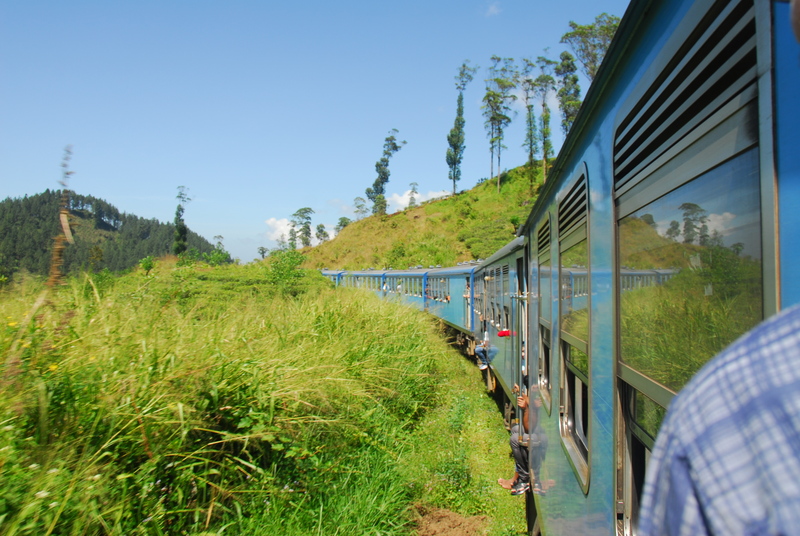 The train to Kandy was busy and hot, but we sat in between carriages with wind splashing our faces and caressing our hair and hardly noticed the passing of the four hours, mesmerised as I was by the stunning views. I tried to read Anna Karenina standing up in the door, holding the handle as not to fall, but soon I was charmed by the green expanses, beautiful valleys, cornucopia of trees and tea plantations, rivers and waterfalls, jungle and mountains, one after another in a magical display. 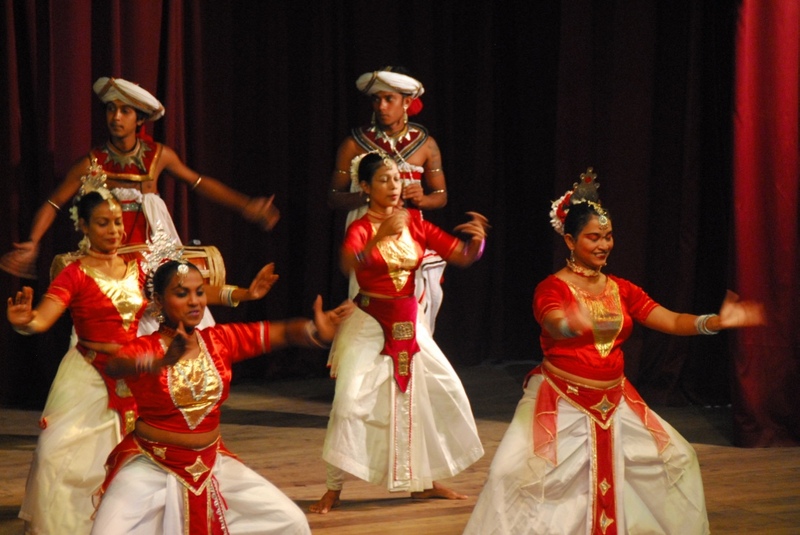 When we reached Kandy I felt happy and refreshed, despite the length of the journey. 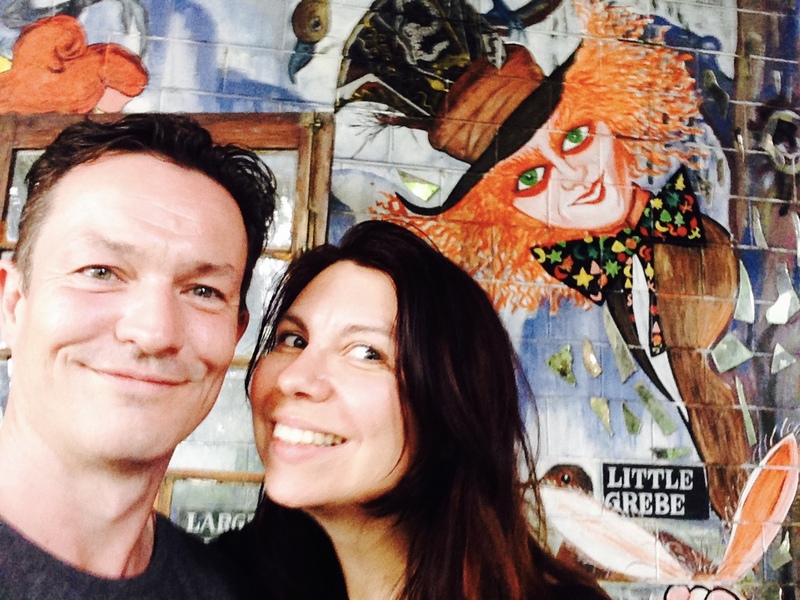 I had very low expectations of the city (most people we met were quick to say it was just a busy town, without much to offer) but I was excited about the hotel where we were going to spend the next two nights and celebrate New Year’s Eve: Helga’s Folly. 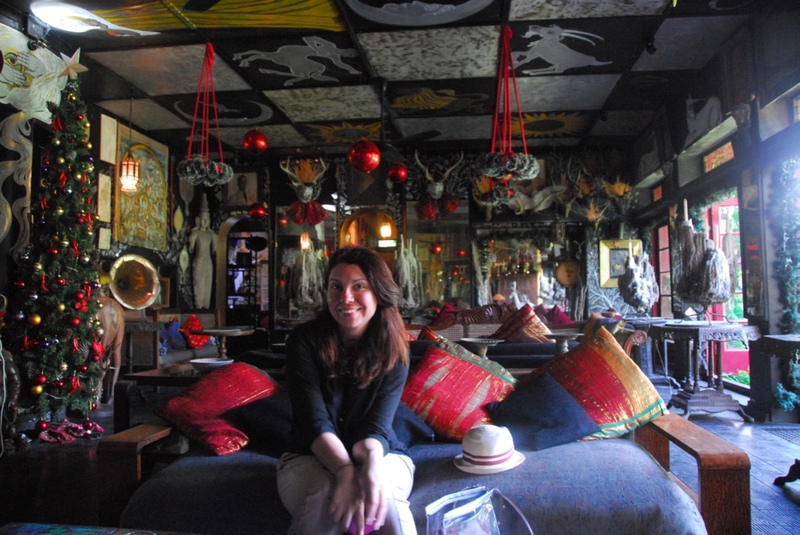 I came across Helga’s Folly by accident, as I was researching ‘Cool Hotels Sri Lanka’ and soon I became fascinated with Helga herself. A former Dior model, Helga can name the likes of Mahatma Gandhi amongst a friend of the family, she is on friendly terms with much of London society, her daughter is designer Selina Blow and her former daughter-in-law was the talent spotter and fashion icon Isabella Blow (best known as the muse of designer Alexander McQueen). Guests over the years have included Vivian Leigh, Peter Finch, Sir Laurence Olivier, William Holden, Gregory Peck, Sir Alec Guinness, and Sandra Rhodes, while Kelly Jones of the band Stereophonics wrote the song ‘Madame Helga’ in her honour. But the thing that fascinated me most about her was that Helga, traumatised by her ongoing divorce from her second husband (the unhappy marriage followed the suicide of her first husband) moved to the dramatically-located hotel above the hill town of Kandy, where she was born, and, encouraged by her father, the former Sri Lankan ambassador in Paris, started decorating the rooms as a form of therapy. Trying to describe Helga’s Folly is like trying to describe a symphony. It has to be seen, to be experienced. But I will have a stab at it anyway. The Folly is more of a museum than a hotel. Literally every inch has been painted and decorated, sometimes in contrasting ways but there is never anything discordant about it. When you walk in it feels like stepping into Wonderland or Narnia. 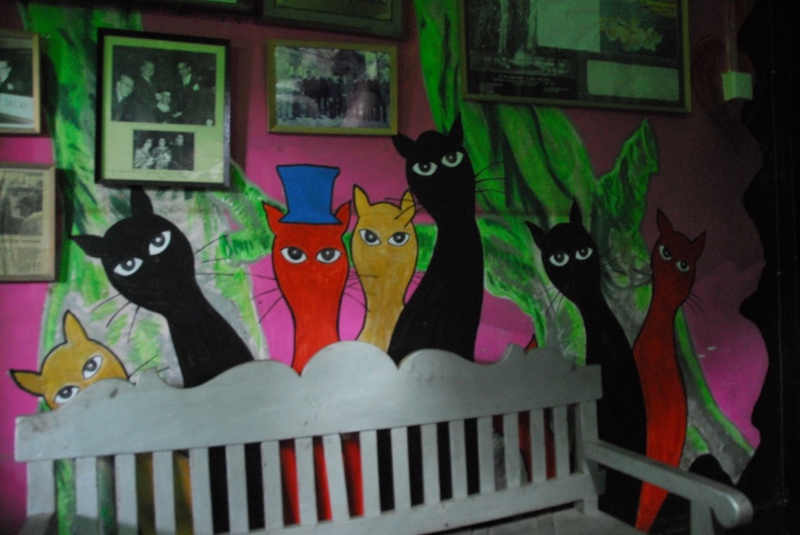 In fact, after some of it had sunk in, you discover that the first wall you see as you come in through the driveway is covered in quotes from Alice in Wonderland and a mural depicting The Mad Hatter can be seen before you go inside, in the refreshing coolness. You have to wonder, as you wander through from one room to the next, which of the paintings belonged to Helga and which were added by others. After a recent accident, Helga decided to take it easy on the ceilings and so all of the newer murals in Helga’s Folly have been painted by staff and guests, including the extraordinary new Jane Lillian Vance grotto located next to the reception, dedicated to the memory of a murdered American teenager, Morgan Harrington. 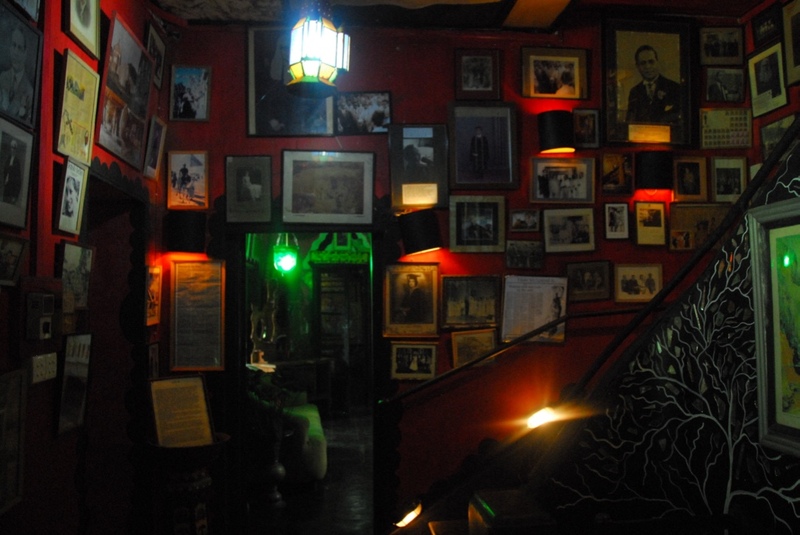 The walls are also plastered with photographs of famous people, press clippings, a page covered in the handwritten lyrics of ‘Madame Helga’ written by none other than Kelly Jones of Stereophonics himself and much more. As I walked through in fascination, I found myself wishing that a visit to the Folly included a walking tour. It wasn’t until a day later than we discovered the cinema (yes, a cinema, just like Everyman Cinema) and the swimming pool, only accessible through a long corridor leading to the back of the house. 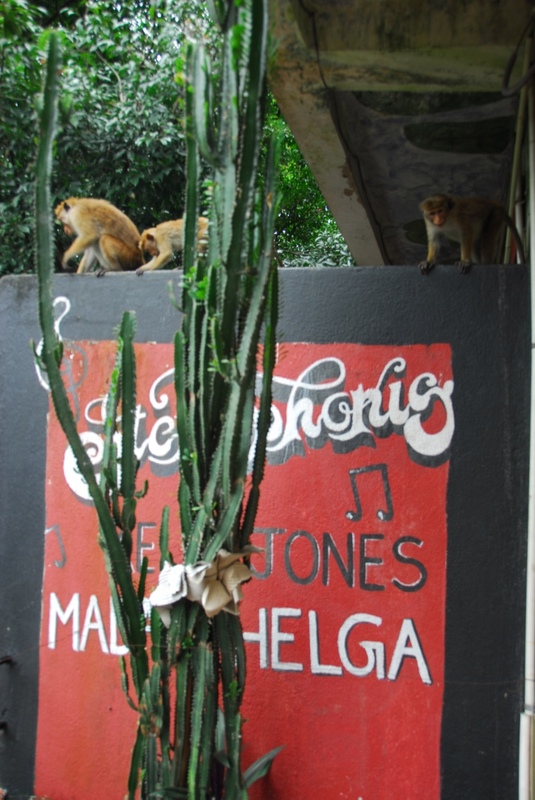 We soon discovered that we had been given Kelly Jones’ room and chuckled at the note telling us that the hotel was not responsible for the damage of property by monkeys. 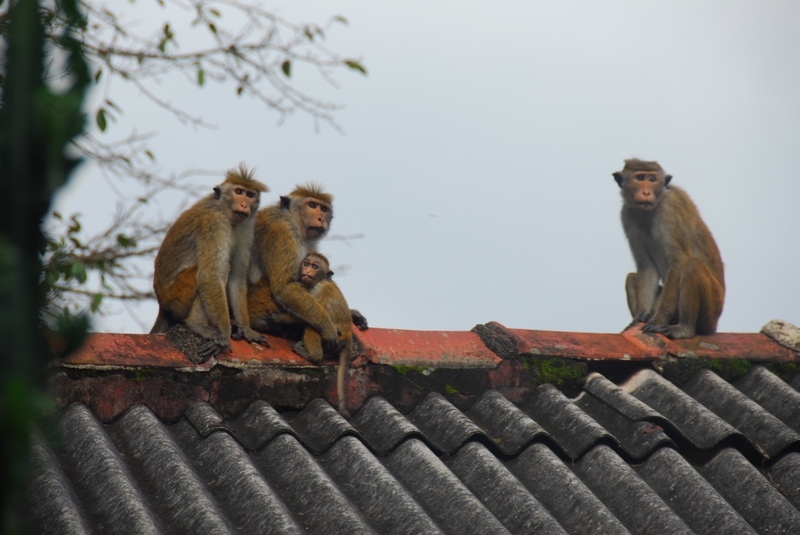 We thought it was a bit of an exaggeration until we saw the gangs of macaques that were patrolling the area. The next morning at breakfast, we were literally under siege, surrounded by monkeys desperate to get inside and their hands on our bread rolls. But the valiant Halloween (a six-months old cat rescued by Madame Helga from a sewer when she was only a few days old) wouldn’t be intimidated and scowled at them through the protective layer of glass, managing to get them to back off a little. But they would try to break in anyway through cracks in the doors and windows. The scene reminded me of a National Geographic programme on the monkey gangs in Jaipur. 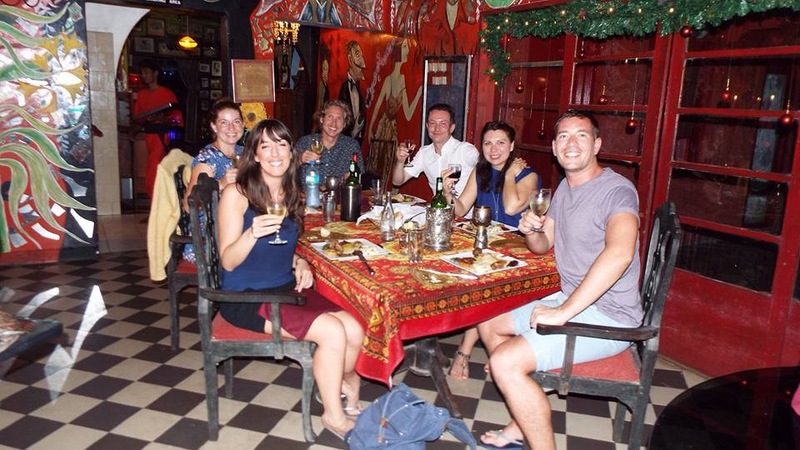 The New Year’s Eve at The Folly was an equally memorable experience. The gothic restaurant with candles encircled by overflown wax promised a dining experience like no other. The food at The Folly doesn’t have the best reputation on Trip Advisor, but that’s because the reviews have been written by people who expected an ordinary meal. Nothing about Helga’s Folly is ordinary and the food less so. The meals are experimental, with dishes that may or may not belong next to each other on the same plate, but delicious (independently) none the less. However, the star of the show proved to be the jelly-wine: a deep-red jelly that packed a massive punch in alcohol percentage. It provided us and the two other couples we befriended and spent New Year’s Eve with an endless source of laughter. Yes, the Folly was a hit in so many ways. But was Kandy really as dull as we feared? I don’t know how others perceived Kandy, but to me, it is one of the most beautiful urban settings in the world. 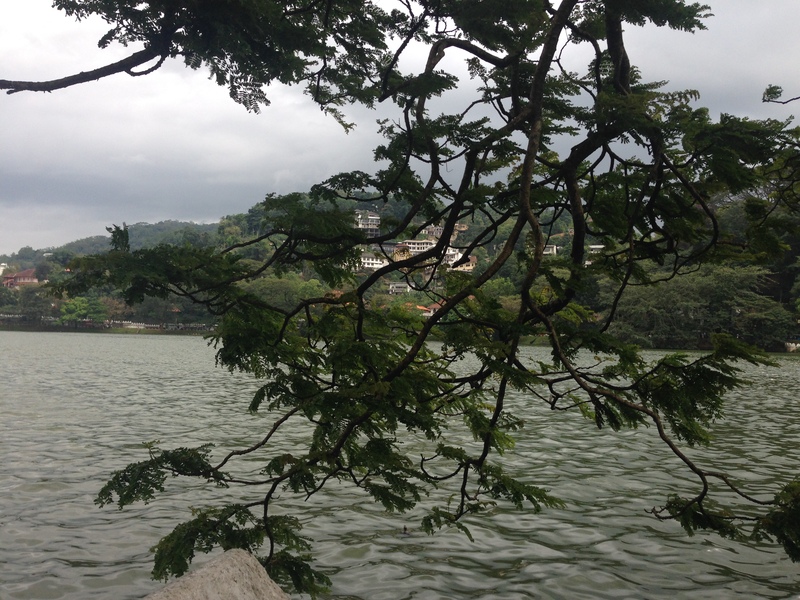 With the lake at its epicentre, Kandy is a town that swirls up the hills that surround its watery core from all angles. It’s hard to be anywhere in Kandy without looking at a stunning view. A gargantuan Buddha statue rests atop one of the hills in a similarly striking fashion to the Christ in Rio de Janeiro and it bursts with life on the streets that make up its veins and arteries. In the middle of it all sits the famous Temple of the Tooth, which impressed me not with its famous tooth but with its life. A constant stream of people runs through the temple on any given day, their hands holding fresh water lilies to offer and incense to burn, the spiritual life of Sri Lanka perfectly visible in all its functioning glory. After a little bargaining over ‘elephant trousers’ in the market, we met our new friends to see a Kandyan Dance show and said our goodbyes over a beer the ‘Slightly Chilled’ terrace a couple of hours later. When we left Kandy on the 2nd of January, I felt nostalgic for the first time in Sri Lanka. Because we were approaching the end of the first leg of our trip (the holiday bit) and because I knew a piece of my heart now forever belonged to Kandy.